The ATRM-20 and ATRM-40 are Amperis’ third generation transformer winding resistance meters. The ATRM line is designed specifically to measure DC resistance values of transformer windings, rotating machine windings, or any dc resistance of an inductive device. The ATRM line features dual resistance-reading input channels that can measure two winding resistances simultaneously (primary and secondary windings of a transformer). Both the ATRM-20 and ATRM-40 can provide a fast and stable reading of very large transformers by utilizing a 60Vdc power supply. 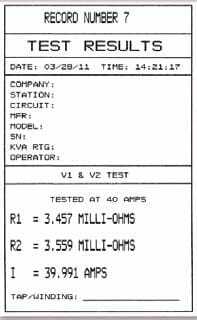 The ATRM-20 is capable of outputting a selectable test current from 1A to 20A while the ATRM-40’s test current is selectable from 1A to 40A. exported to PDF, Excel, and XML formats. The ATRM features a back-lit graphic LCD screen (128 x 64 pixels) that is clearly viewable in both bright sunlight and low-light levels. An alphanumeric keypad is used to enter test information and to operate the unit. 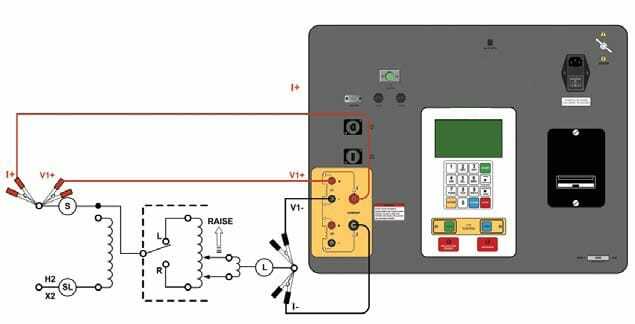 The ATRM automatically dissipates the energy stored in the transformer at the end of each test The discharge circuit will continue to work even if the ATRM power supply is lost. The ATRM can store up to 256 static test records (111 readings per record) and 120 dynamic test records internally. For external test record storage, the ATRM features a USB Flash drive interface port. Up to 999 test records can be stored on a connected USB Flash drive. Do you want to buy high quality Transformer winding resistance meters? 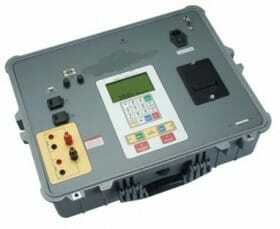 Inquire for our Transformer winding resistance meters prices.